The ONIX Corporation has over 30 years of experience in industrial automation and control. We have our own dryer processing entities, and we have watched the industry evolve. In the implementation, automation, and operation of our own facilities, we have experienced first-hand which automation components perform best. Our clients have rigorous standards requiring job-specific automation components. 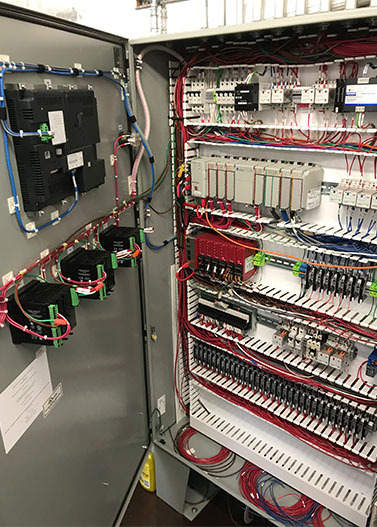 We work on numerous PLC platforms, HMI components, and software, as well as utilizing almost every three-phase motor starter, VFDs, and Soft-Starts in the world. We also work with every voltage on the planet. This experience, combined with our overwhelming process knowledge, allows The ONIX Corporation to custom design a unique automation solution for almost any process. 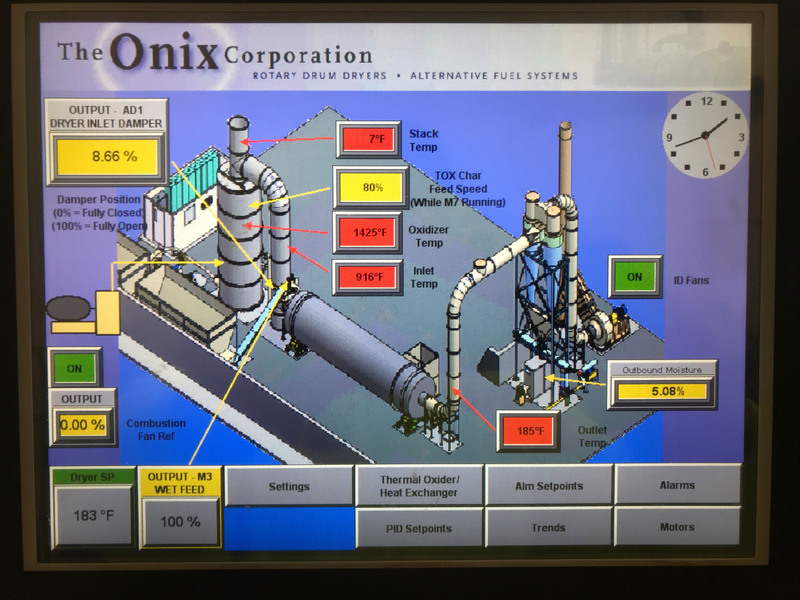 The Onix-OS© is a custom designed dryer operating system that utilizes our 30 years of dryer operational experience to automate a drying process that does not require a dedicated system operator. With a PLC/HMI touch-screen control, it is capable of automatically tracking system parameters, generating reports and historical trends, and data archiving. The Onix-OS© allows authorized plant personnel to remotely access the system live view or retrieve data on plant operation during the night, the past week, or years back. 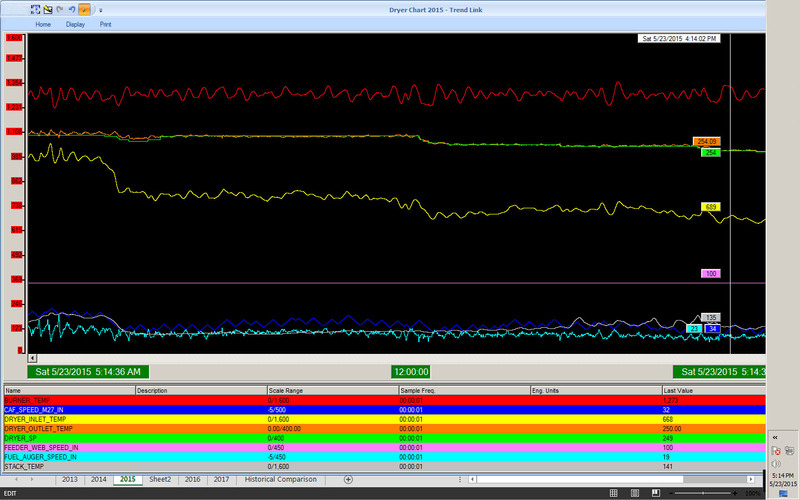 It can track any parameter and inform when and why the system shuts down due to any alarm extreme. Reports can be generated to outline plant-wide production during any selected time interval. This system requires the presence of an operator only at start-up and to initiate shutdown with our moisture control option. 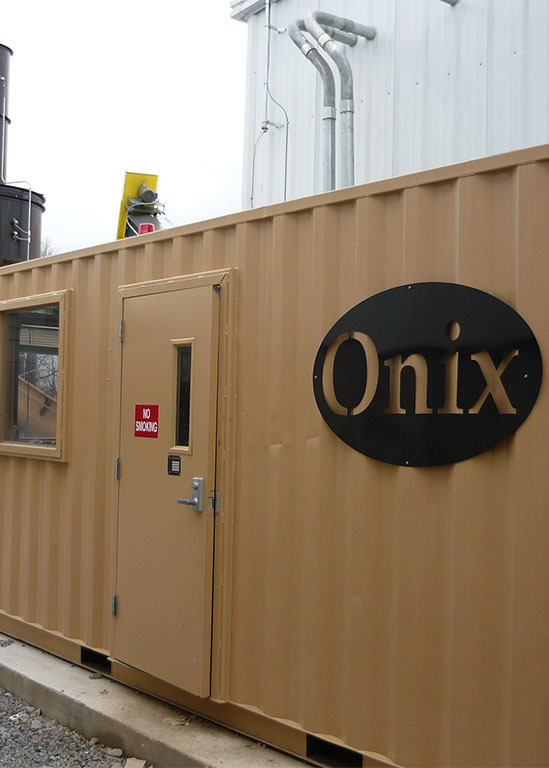 Often a client elects to have The ONIX Corporation house the MCC, PLC, fire suppression system, HMI, and remote control computer inside an insulated, pre-wired climate-controlled shipping container. This minimizes field electrical wiring, as the customer need only wire the motors and sensors to the Onix-OS©. This also facilitates shipping and transportation – especially in international projects. 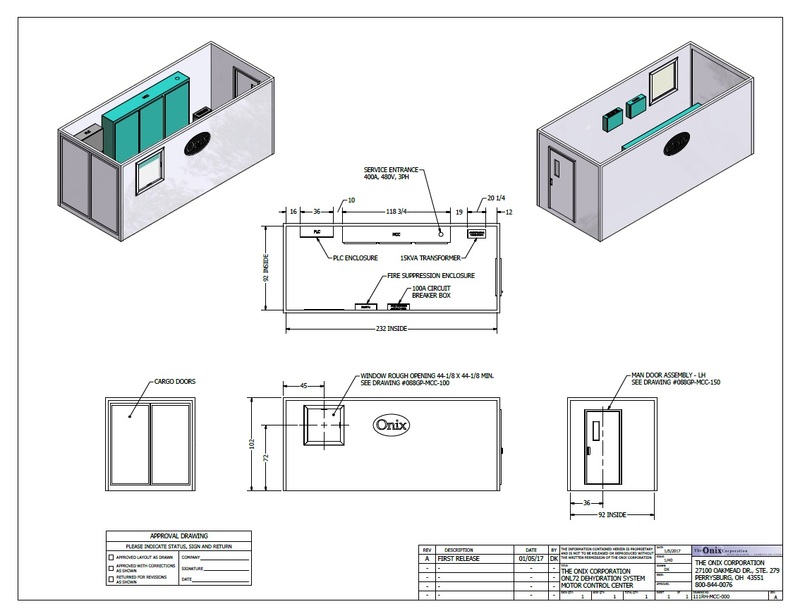 These rooms also feature emergency backup lighting, industrial man doors with an OSHA approved break-bar, and a window that is bulletproof. Imagine taking a snapshot of all pertinent plant data every ten seconds and storing that data for years to come. By simply specifying the date and time, you will instantly have that data graphically displayed before your eyes. This concept is referred to as Historical Trending. This graph can then be copied to your clipboard and inserted into reports or spreadsheets. The gathered data can also be exported and manipulated by the spreadsheet of your choice. Historical trending has made plant management less complex. You will have concrete data to troubleshoot process errors, greatly reducing the time lost to trial-and-error fixes. The Onix-OS© empowers process engineers, production supervisors, and plant managers by giving them the ability to improve productivity and reduce production variability through built-in monitoring of machine downtime and cycle-time. The built-in machine and process monitoring is coupled with automatic generation of actionable information displays that can be used to drive productivity improvements and objectively measure progress toward operational goals. The Onix-OS© productivity tools can be used with existing legacy systems as well as new installations. The power of The ONIX Corporation’s productivity tools lies in getting valuable information quickly viable. Because pictures are worth a thousand words, the Onix-OS© provides the tools for the user to see information in a variety of ways with a little extra programming.